The Network Union recommends BT Cloud Voice. We're a Premier Partner and experts across licences, call packages and hardware. There's a better way to buy BT Cloud Voice. 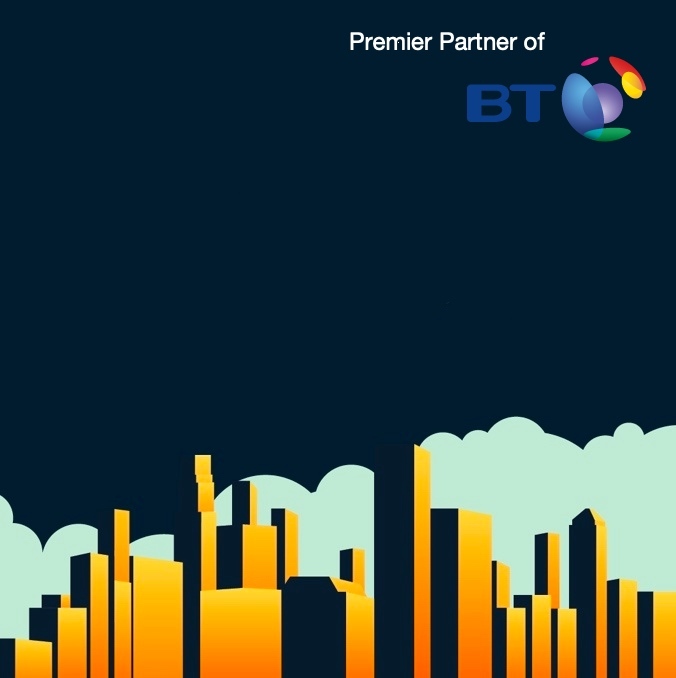 We’ll show you how to engage with BT Business to make your purchase at the best possible cost. As standard in 2019, we are applying 10% discount with free/discounted licences and handsets. On this page, we'll show you how we achieve BT Cloud Voice pricing discounts of 10% across all licences, hardware and call packages. That's not all. We apply discounted or free handsets (depending on contract terms) and further incentives across Broadband and BTNet leased lines. Interested to learn how we work? Read on to learn more. We want to build trust in our approach, if you would like to speak with our BT employed Cloud Voice Specialist to achieve your discounted offers directly from BT, please let us know and we'll send you contact details. The typical route into buying Cloud Voice is either directly via the BT price builder website which is available here or to telephone BT where you’ll be put through to your BT Local Business contact. The third option is to buy from an Authorised BT Partner (Network Union is a Premier Partner). If you view the BT.com Partner website page, you’ll see Network Union listed as an Authorised Partner. We work across the UK and NI. IMPORTANT - Whether you choose to buy from the BT website, via Local Business or an Authorised Partner you are buying a direct BT Cloud Voice service in respect of contracts, support and billing. In short, we’ll show you how you can buy directly from BT but with the best commercial outcome with a thorough understanding of your required feature set. We work alongside BT resources to retrieve the latest channel offers together with gaining a detailed understanding of the profit of each opportunity whether you are considering a single licence or hundreds. To learn what your business could achieve by buying from the Chanel, get in contact. Finally, you're dealing with experts. We get the technology and can help you make the most of your service via presales and ongoing account management. A 1-year basic licence starts at £6.00 through to high end Collaborate full functionality licences at £17 per month depending on contract terms. Add-ons are available at any time throughout contract where required. All licence costs are per user, per month. There is a £100 connection charge which is waived when purchasing Internet services. An assigned number is required for most functions, charged at £1 per connection and 50p rental. BT have chosen Polycom as their partner of choice. Basic handsets are available through to LCD driven displays and DECT phones. Conference phones and BT ATA (analogue to IP) options are also available. All devices are configured and tested to ensure call quality and customer experience is high. Includes licence costs only. Calling packages not included. What are some example BT Cloud Voice offers? Please note, if you would like to discuss bespoke offers and requirements with discounts, please get in touch on 0333 202 1011 or drop us a message. Where the requirement is larger in scale or more complex, we are able offer further incentives. Remember, a further 10% discount is applied to the costs below. Free desk phone per licence and 10% discount off your total contract value* Individual cash back and bespoke discount offers for 30 plus licences. 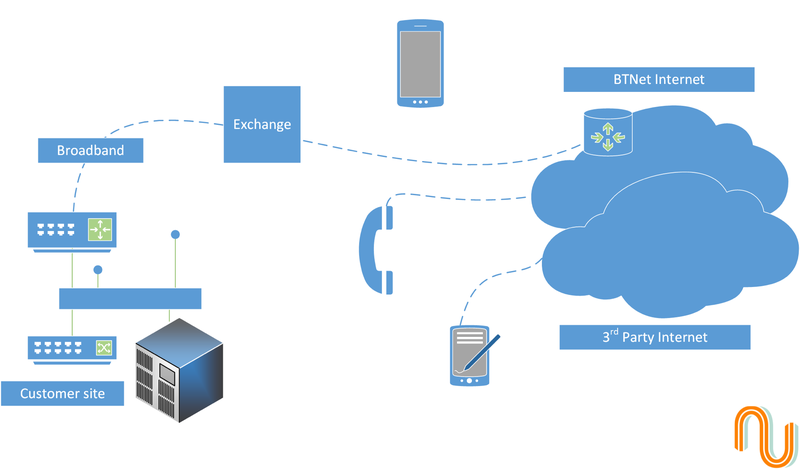 Establishing your requirements – A cloud-based, fully featured telephony service available on multiple devices wherever you’re connected to the Internet. The capability ranges from full-blown on premises switchboard replacement through to simple user telephony. Without the costs associated with on-site hardware, there’s no maintenance, and all software upgrades are automatic. You can work anywhere - Tablet, phone, laptop or PC. Take your number and functionality with you from arranging conference calls to diverting calls; everything is available at the touch of a button. Customers or colleagues call your local desk number and reach you wherever you are, simple. User feature packs - Licences include Basic, Connect and Collaborate. Basic includes the features a standard user may require including call forwarding, transfer, 3 way calling and hunt group. Connect builds on basic functionality providing elements such as voicemail to email, mobile apps and soft phone with call recording. At the top level, Collaborate offers full office based functionality with team presence features. User add-ons and site add-ones - Included within the add on sections are calling packages for UK and International. The benefits of cloud based services surround agility, aspects such as CRM call recording, shared call appearance, call centre ACD and so forth are easily added to the capability. IP Handsets - Where using soft phone applications are not appropriate, a full range of Polycom hardware is available. Products range from entry level IP phones through to conference phone systems. What are the BT Cloud Voice Basic, Connect and Collaborate licence costs? Complete standard licence costs available from the link above. The calling plan and minute costs for BT Cloud Voice. All calling plans are shared across users and are not applied at an individual level. A UK and International package must be selected. If your business does not make calls outside of the UK, pay as you go is selected. Minutes range from 500 through to 60,000 with a further unlimited option. Note that our current discount offer only applies to the license costs, not calling packages. What are the BT Cloud Voice calling plan costs? Above, the link to BT Cloud calling plans. Discuss your requirements with an expert? Our BT Partner agreement means we do not work in isolation. We’ll involve a member of our BT support team. We’ll walk you through the licence options and considerations with regards to ensuring connectivity is fit for purpose. Face to face UK wide workshops are an option for licence discussions over 9 users. Conference calls for less than 9 users are our default. Use Livechat now to ask any questions. How we technically account manage your Cloud Voice business? We’ve taken the time to become Cloud Voice experts. Where your requirements consist of 9 users or above, we’re available for UK wide workshops where we’re able to analyse your LAN infrastructure, your Internet connectivity and traffic profile to establish whether your site is ready for Cloud IP communications. Below 9 users, we conduct the same pre-sales activities via conference call. There are always exceptions, if you feel your business would benefit from a face to face workshop but your users base is less than 9, get in touch. We’re nice people. All of our team are technically biased. This is perhaps a major difference vs. the BT direct sales team. At Network Union, we understand the dependancies of Cloud services and what it means to ensure the underlying infrastructure is fit for purpose. We’ve taken the time to gain clarity on the order process together with each and every feature. And, we’re offering 10% discount across all licences. Above. BT Cloud Voice in action. Why do companies buy their BT Cloud Voice services via the Partner Channel? The Network Union is a BT Premier Partner with some of the most comprehensive knowledge of BT processes outside of BT Business. We can make sure you take advantage of any available, offers, deals and the very latest pricing from BT Business. In the most recent financial year, we’ve placed hundreds of Cloud Voice licence orders, the most recent of which was for Woodrush High School. Faye Parker from Woodrush was looking to replace an ageing ISDN based phone system to reduce costs, increase capability and leverage their existing BTNet leased line. Network Union helped Woodrush by gaining an understanding of features, explaining the pitfalls and opportunities with Cloud and are now working to implement alongside BT project management. We have also managed to gain a better price point for Woodrush vs their existing local business contacts by applying further discounts available as a Network Union BT client. The same applies to another recent win with Vale Garden Houses. We were engaged as an alternative to their local business relationship. Vale leveraged our technical presales expertise to provide confidence that their current requirements were translated into the right BT Cloud Voice capability. Not only did we inspire confidence in the sales process, we were also offering the best pricing across their Cloud Voice requirement. With every client we work with, we apply the following sales process. 1. Evaluation of existing connectivity and telephony services to ensure migration to Cloud is seamless and captures any important features. 2. Consideration of migration where existing ISDN charges apply, our team will apply to BT finance requesting any early termination fees to be waived. 3. Based on licence type, required handsets and calling minutes, our BT resources will look at the latest available offers and deals. 4. Ongoing support with dedicated account management via Network Union. However, this does not mean you cannot approach BT directly for support where required. In the event an issue or problem occurs, we are able to escalate into our own BT team based in Sevenoaks. WHAT DO WE NEED TO PURCHASE CLOUD VOICE? What BT connectivity do we require? – BT Cloud Voice orders must be bundled with BT Business Broadband (Copper / Infinity fibre), or a BTNet Ethernet leased line. What about the LAN? – Our team is able to discuss your LAN environment to check for Cloud Voice suitability. BT provide new layer 2 LAN switch hardware including lease purchase. How many calls can we make using Cloud Voice? – We typicall recommend 100k per call, based on the G711 codec. Although estimating concurrent calls vs your existing business usage is not an exact science, our presales process includes the required checks. Is BT Cloud Voice financing available? - Full financing is available, subject to status.